Thank you to everyone who watched Friday Night LIVE. I could not do it without you—or if I did, it wouldn’t be any fun. 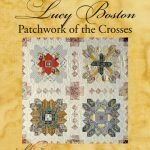 I postponed my original plan for the video because another reprint of Lucy Boston Patchwork of the Crosses (POTC for short) was delivered this week. 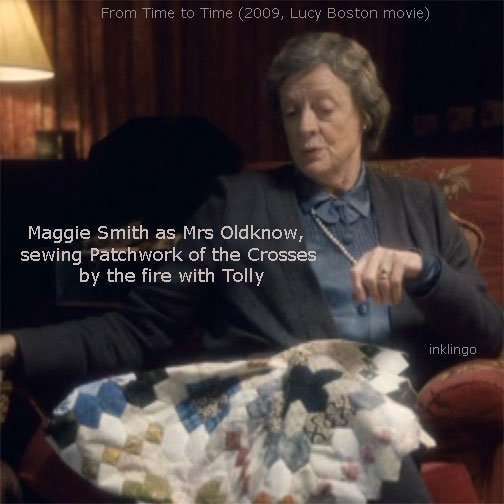 It is very exciting and gratifying for me that Lucy Boston’s legacy is getting stronger and stronger as the years go by! I also needed a simple plan this time because the week was so hectic— including the delivery of 100 pizza boxes and unexpectedly living without running water for 24 hours. I will save my original plan for another live video. I carried the boxes of POTC books into the house in stages. 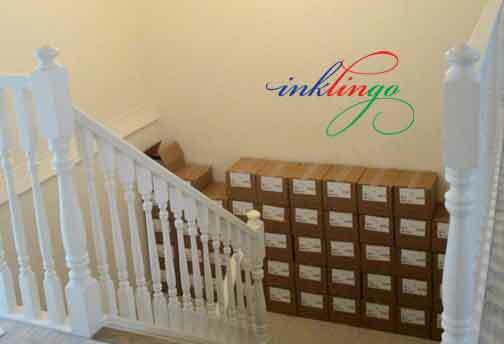 It will take a while to get the rest of them into the basement. So far, these have only made it as far as the landing. I only carry one box at a time because they are 24 pounds each. I must be doing something wrong because I managed to break almost all of my fingernails. I’ll wear my garden gloves in the future. I wanted to keep this live video SIMPLE because I am still working on getting a better camera setup too. The theme is simplicity. 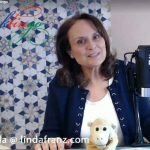 I talked about some of the things that inspire me and compared the simple tools of Lucy Boston with the simple tools we use today. 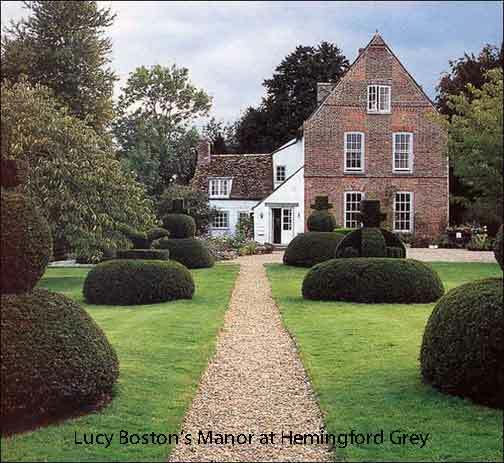 I first learned about Lucy Boston from Diana Boston’s gorgeous book. 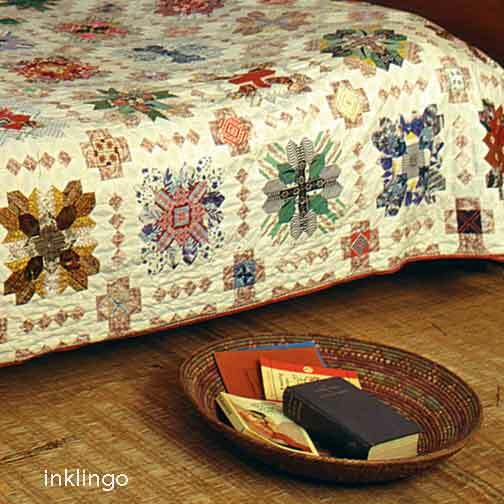 It is one of my all-time favorite quilt books even though it does not include patterns. 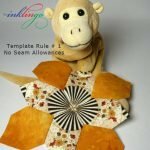 As soon as I saw it, I knew that Inklingo could make Lucy Boston’s innovative, complex works of art accessible to more quilters—and Inklingo IS all about making quilting more accessible. 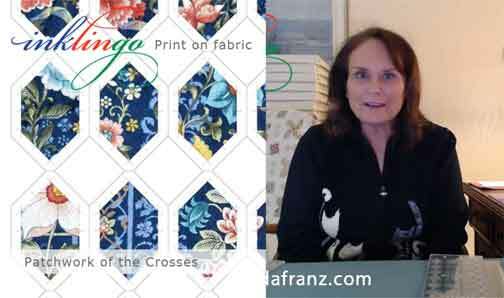 When I contacted Diana Boston about doing my book, she was wonderful. Her book was out of print by that time but she brought it back with a new cover when I published mine. None of this would be possible without Diana Boston. 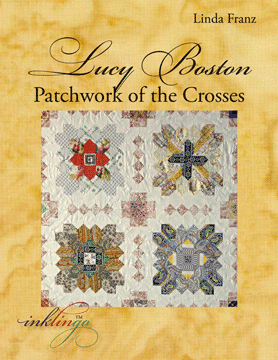 Diana Boston’s book about Lucy Boston includes wonderful stories about the inspiration for her patchworks, her fabric purchases in wartime England, references to the patchworks in her letters, historical background, and her life story. Diana Boston’s descriptions of the patchworks are insightful and poetic, and Julia Hedgecoe’s photographs are inspirational. 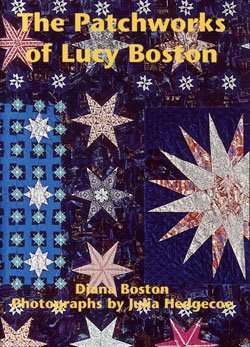 By the way, I should have said “fabric department” instead of “quilt shop” when I was talking about the limited fabric options available to Lucy Boston after World War II. 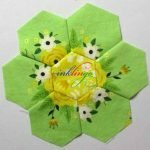 Quilt shops came later. 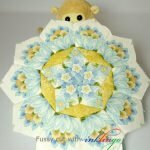 I received many questions about this one! There are some good close-up photos on Pinterest. As a “non-techie” person, managing all of the new software and equipment for the live videos has been a challenge. My main “focus” now is getting a better camera setup, so I can use my good digital cameras as webcams. 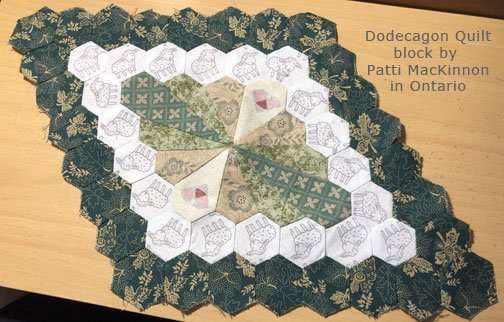 When that is sorted out, I will be able to sew LIVE by hand and by machine and show it to you close up! A fear of public speaking is one of the most common phobias. I think everyone has it at least a little bit. Doing these live videos takes public speaking to a whole new level because of the technical side (not my forte), because I cannot see you, and because it is saved online for anyone to see. It is hard for me to watch when it is over. 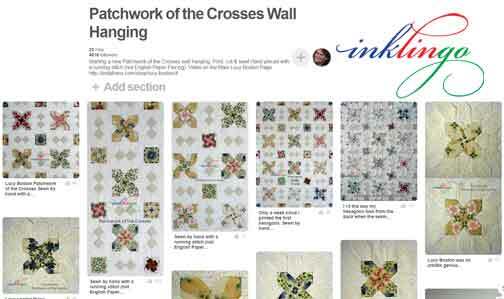 When I was traveling to speak at quilt guilds, I knew the audience was friendly and I could get a live response. With these videos, I have no idea who might be watching, so your LIVE comments make a huge difference. Thank you! Here’s another video that is NOT live and I am not on camera at all. 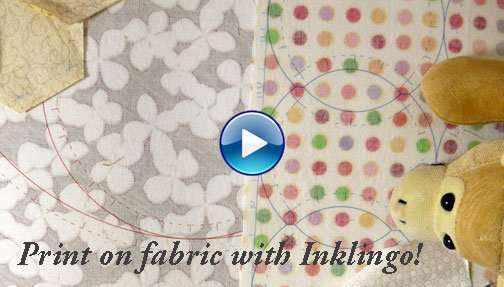 It only takes 8 minutes and tells you how to start printing great shapes on fabric FREE. I hope you will come back for the next LIVE videos and bring your friends. If you watch the replay (at the top), please watch with a kind eye and let me know what you would like to see next time, okay? 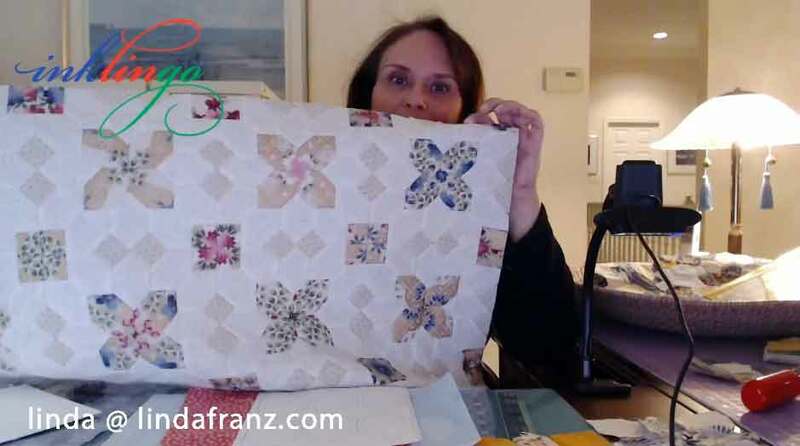 You can leave a comment below or email me at linda@lindafranz.com. Thanks for the suggestion, Katia. I am thinking about doing another mystery. I’m pleased you are interested!